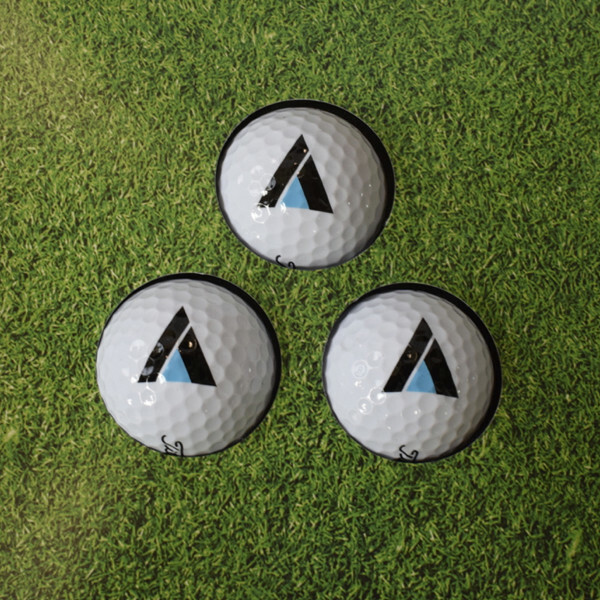 Custom Golf Ball Mailer | Mission Press, Inc.
Three (3) golf balls are nestled in custom die-cut holes with a full-color image of golf course turf printed on heavy, high-quality cardstock. 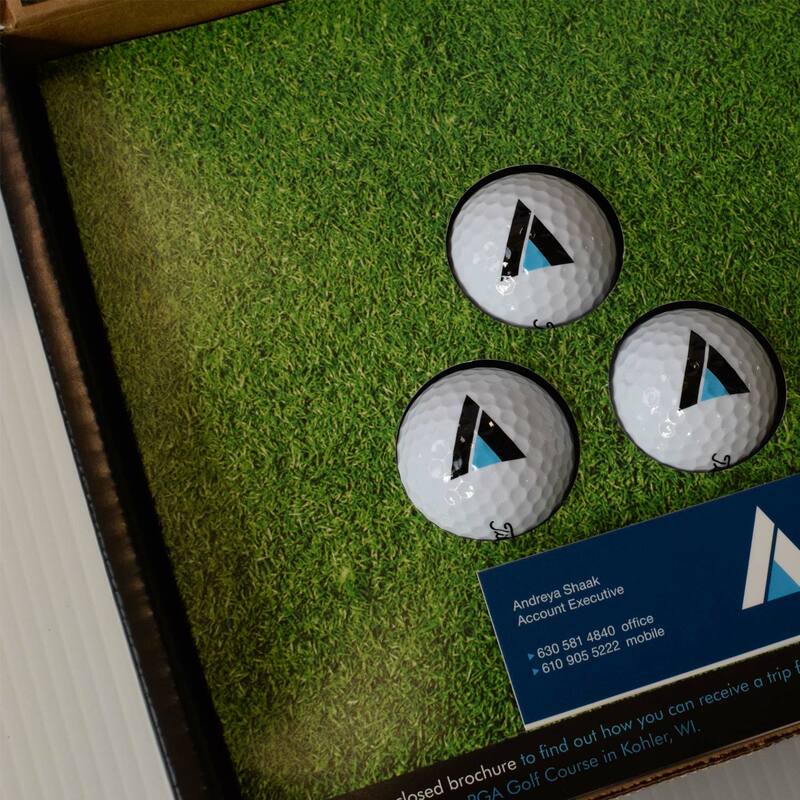 Below, a custom foam insert protects and securely holds the golf balls in place. The foam insert fits tightly inside a heavy-duty corrugated box with a coated black exterior finish. 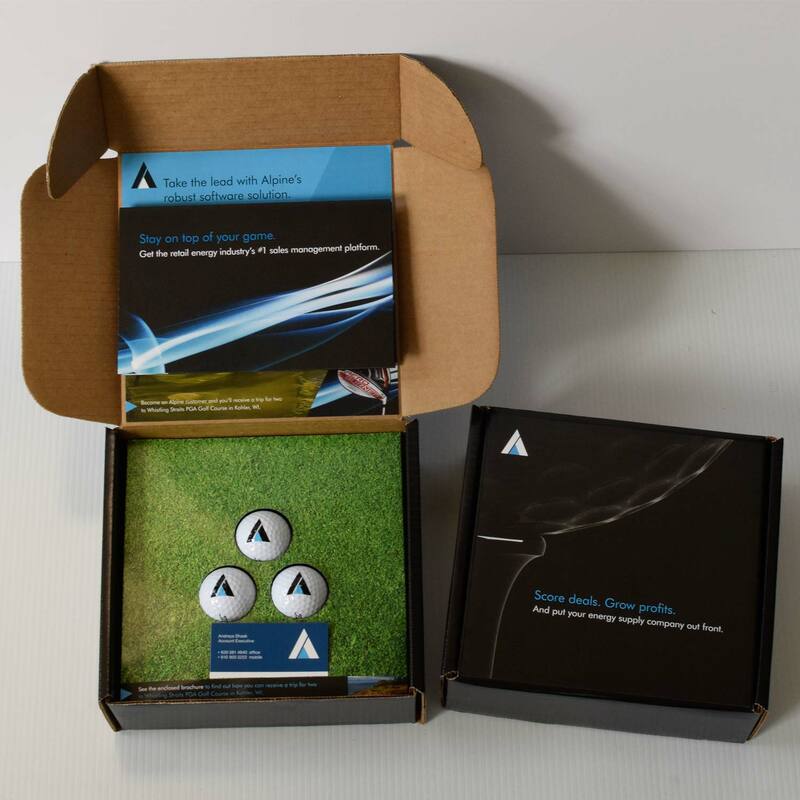 Your own promotional materials and business card can be added, whether you provide press-ready artwork or we design it for you. The box is shrink-wrapped twice for protection and is approved by the USPS for shipping. Not into golf? Check out our Wine Glass mailer for another option. Due to the custom nature of the product, pricing varies and is available upon request. Fill out the form below for a quote, email, or call us at 312-455-9501. Give us an idea of what you need and we'll call you to discuss your options.